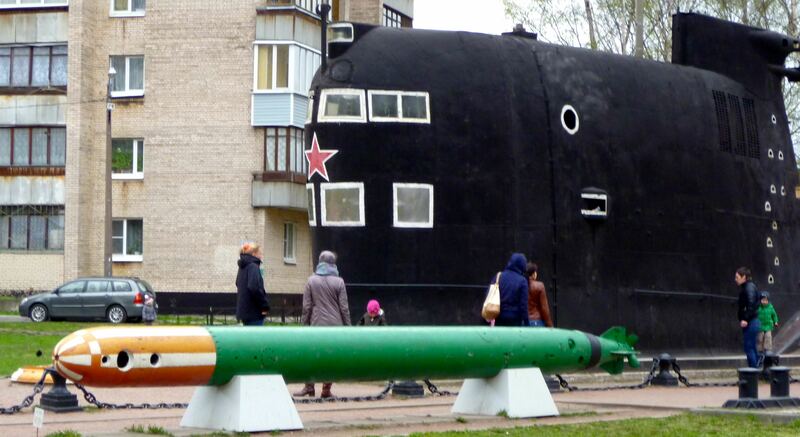 Our tour guide, Yulia, explained that originally the museum had wanted the exhibit to focus on World War I, but then as events unfolded in Ukraine, they decided that it was silly to focus on a long-ago war when a new one was exploding right in their backyard. But let me back up. 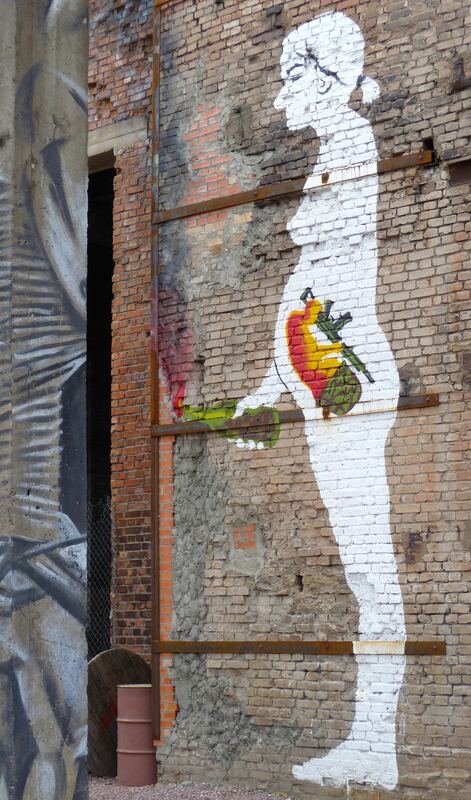 The museum came about because the factory owner’s son is interested in street art and hip-hop culture. 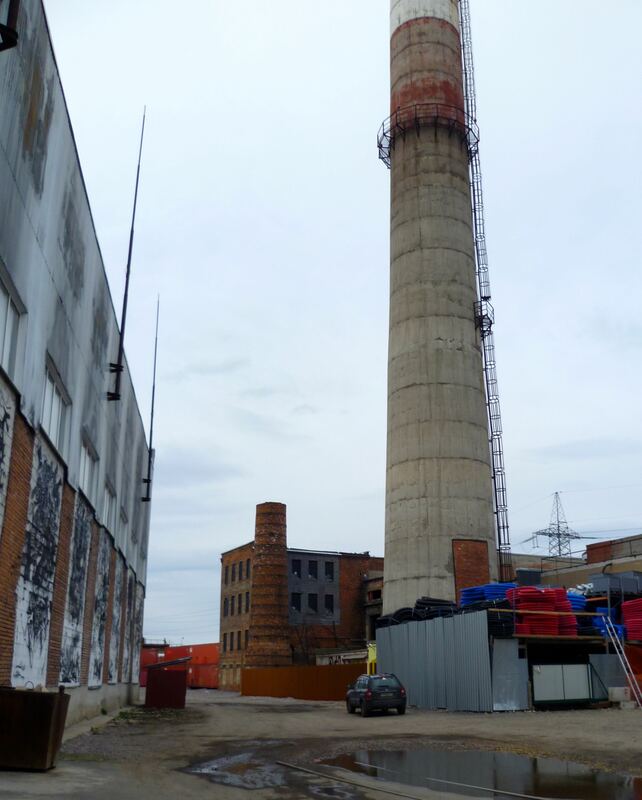 Somehow the factory owner agreed to host the museum at the factory and support it with a staff of five. 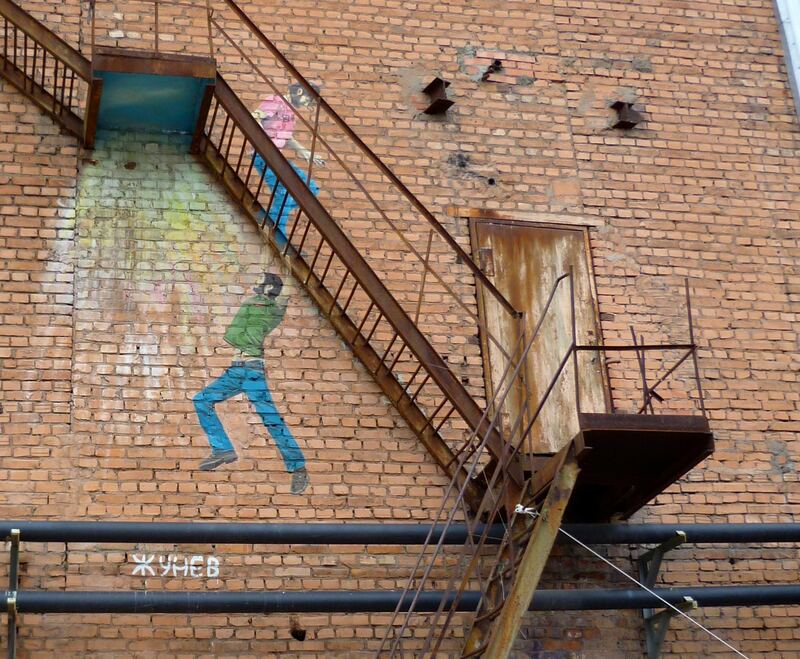 They have hosted both well-known Russian street artists as well as artists from abroad. The space includes a sort of event venue outside, where artists and spectators can mingle, discuss art, listen to live music, etc. There’s a permanent exhibition and also temporary exhibitions that get painted over as new exhibitions move in. The English translation above is not quite on the money. 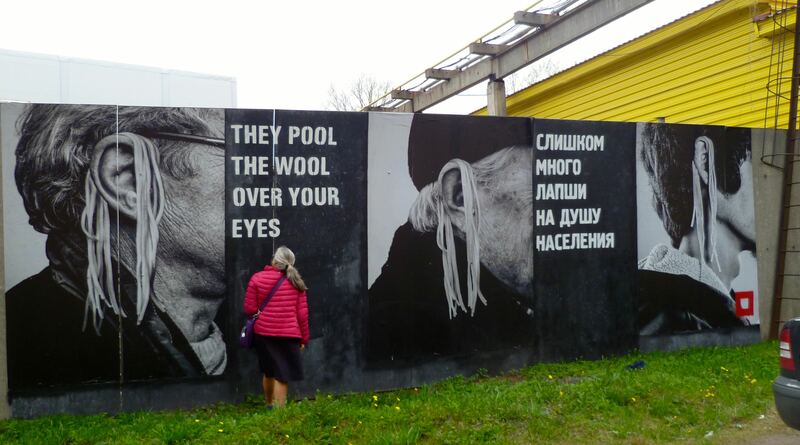 The Russian literally reads: “There are too many noodles per capita.” [h/t pionerka for the correction] The Russian expression “to hang noodles on someone’s ears,” means to deceive someone in a really crude way, so this piece is basically saying there are just too many lies. 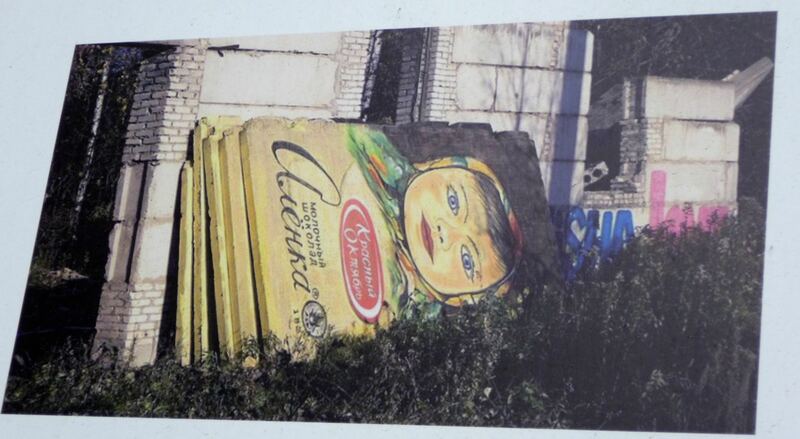 This cement panel used to be in Moscow, leaned up against the side of a building with others like it. 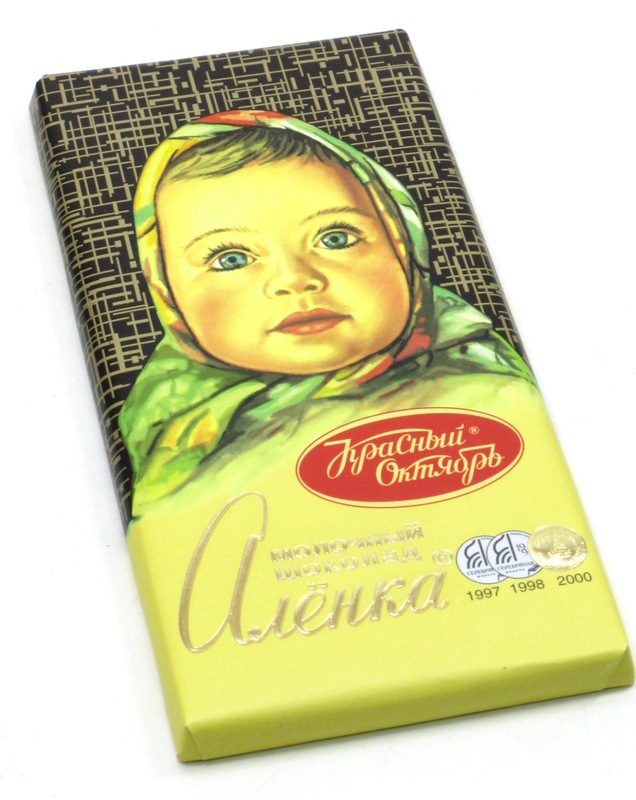 If you’re Russian, you know this is a chocolate bar! 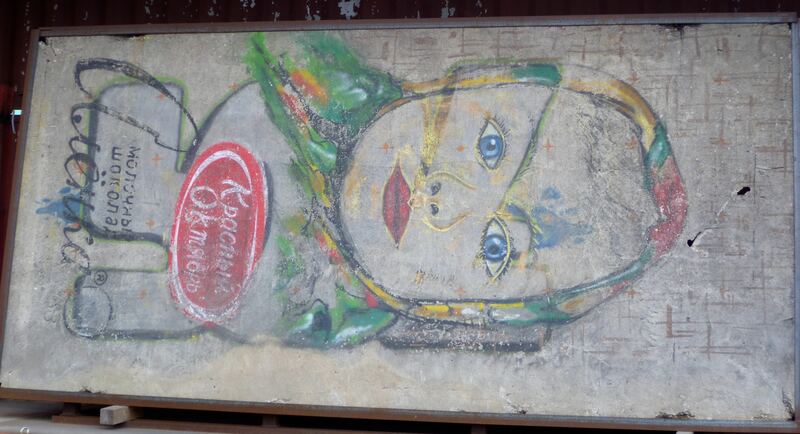 The temporary exhibition of pieces on Ukraine was scattered about the factory. On this side of the tower is a woman mourning her lost son or husband and on the other side is the skeleton of the man she lost. 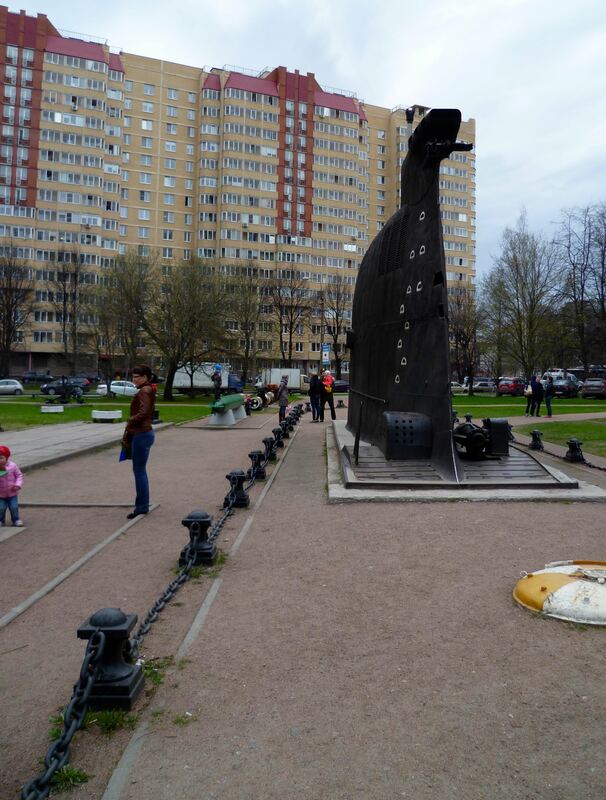 After the museum we saw some pseudo-Soviet street art. 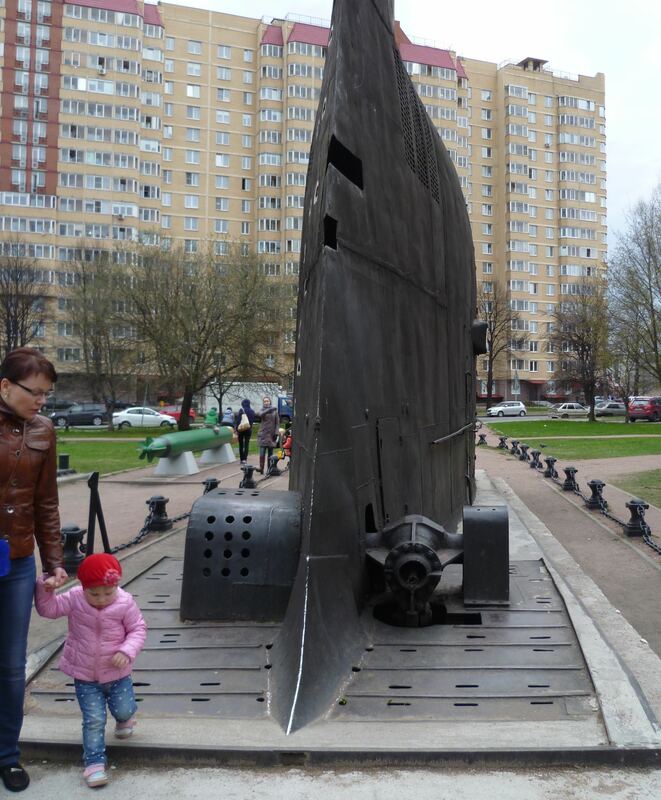 It is completely unclear how or why it wound up here, but there’s part of a submarine in the middle of a residential neighborhood. Kids love it, I think. But there’s not really much of a way to climb on it so I imagine it just provoking massive frustration. There’s an outline of what would be that entire body of the sub, maybe there’s a game to be made out of that? 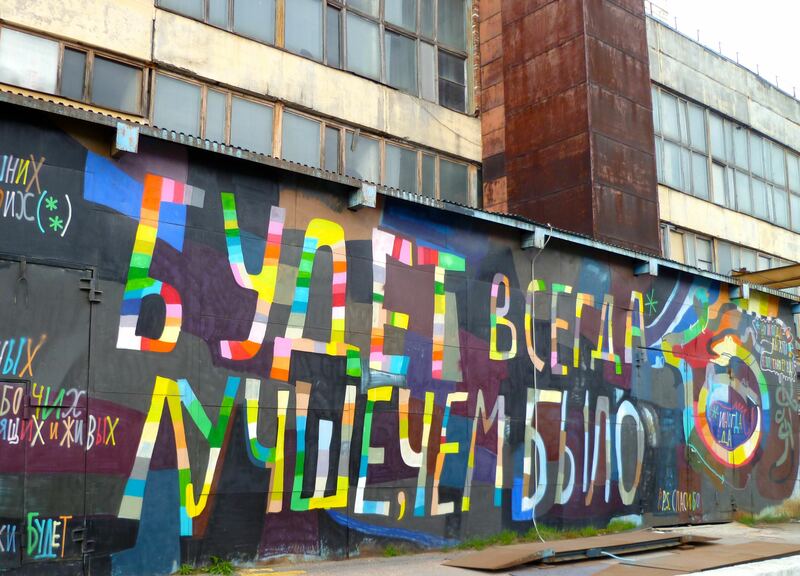 And now the Street Art Museum has a video feature in the Moscow Times! Great pictures! But your interpretation of the “Noodle” piece is way over-dramatic. The Russian part just says “Too much noodles (i.e. lies) per capita”. There is absolutely no word play. Oh, I see! Thank you for the correction.